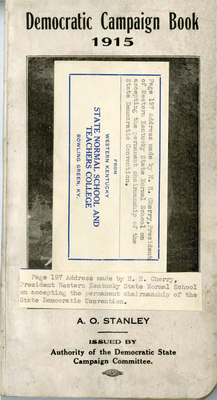 January 11 - Henry Cherry resigns as president to enter the Kentucky gubernatorial race. He addressed the Kentucky Democratic convention. May 19 - Henry Cherry drops out of the governor's race. June 9 - Henry Cherry returns to WKU as president.